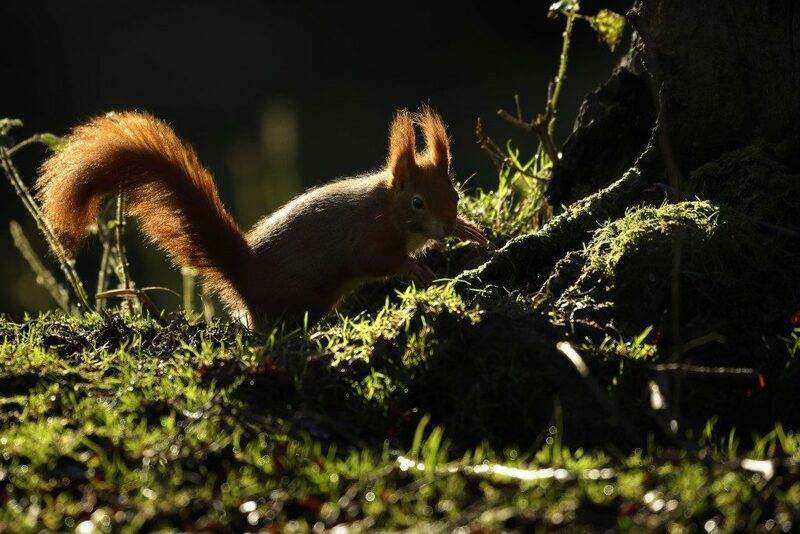 This weekend sees the start of Red Squirrel Awareness Week. The only squirrel species native to the UK, red squirrels have been in a steady decline since the 1950s. Numbers have fallen from 3.5 million in the UK to about 120,000 today. The population in England is thought to be as low as 15,000 whilst 75% are believed to live in Scotland. This decline can be explained by disease, the loss and fragmentation of woodland habitat and competition from the more robust grey squirrel. This beautiful photograph of a red squirrel was taken by Robin Lowry in Surrey and was submitted to our Light in the Lens exhibition theme.